CrossRoads United Methodist Church is in the middle of an upper middle class neighborhood in north central Phoenix. It’s just a mile south of Sunnyslope, which despite its name is one of Phoenix’ most depressed neighborhoods. Now the church is in the middle of a dispute with its neighbors. The neighbors say “NIMBY” -- Not In My BackYard. 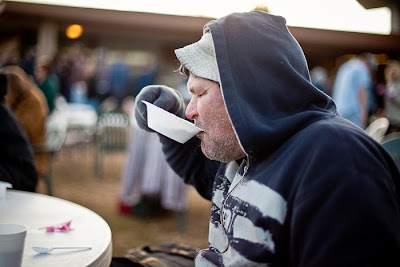 Last year the church started holding an outdoor Saturday morning service and breakfast for the homeless and indigent in the area. They went so far as to send up a bus up to Sunnyslope to bring people to the service and breakfast. It’s traditional United Methodist outreach to people in need. 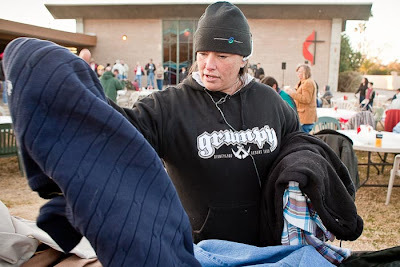 The church’s neighbors were upset by the presence of the homeless at the church. 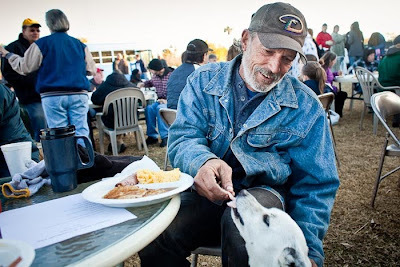 Hoping to shut the breakfast service down, they went to the city of Phoenix, which determined the church is operating a “Charity Kitchen,” which is not allowed in a residential neighborhood. I don’t quite understand the ruling. The zoning board agrees that the church is allowed to serve meals (they host wedding receptions and Sunday morning meals after traditional services) and they, obviously, hold regular services. So if they can serve food and they can hold services, what the city must object to is the people the church is serving. But they won’t come out and say this, instead hiding behind the charity kitchen argument. The church intends to continue serving the homeless and has promised to appeal the city’s decision into US District Court. The city is sticking by its guns and is promising to issue a citation to the church. The only ones who are going to win are the lawyers representing both sides. 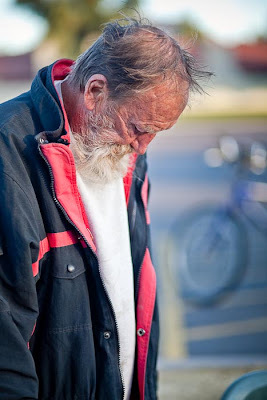 The photos: a homeless man finishes his breakfast cereal, a woman looks for clothes at a table of donated clothing, a man shares his breakfast with his dog and a man bows his head during the opening prayer. There are more photos from the breakfast in my PhotoShelter archive and available from ZUMA Press.